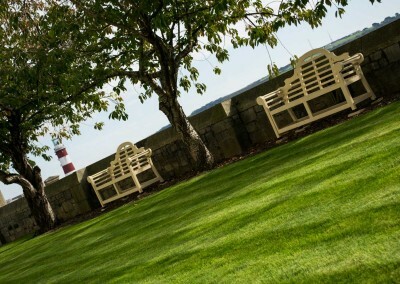 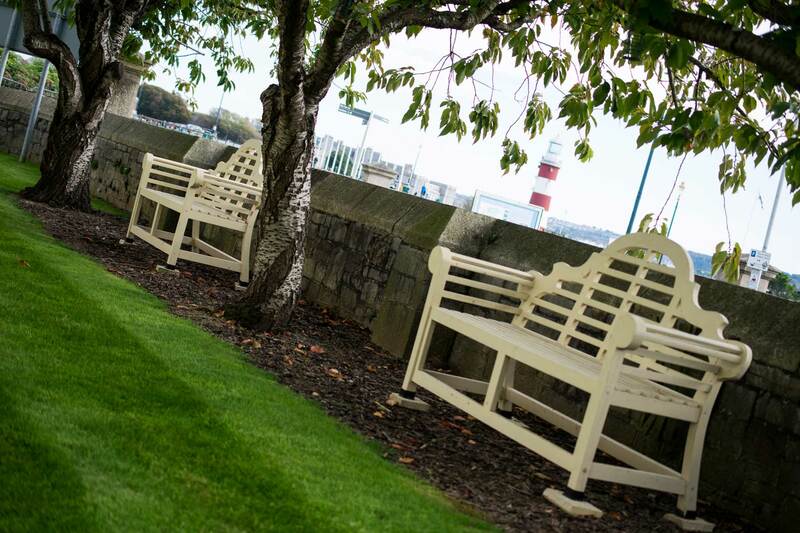 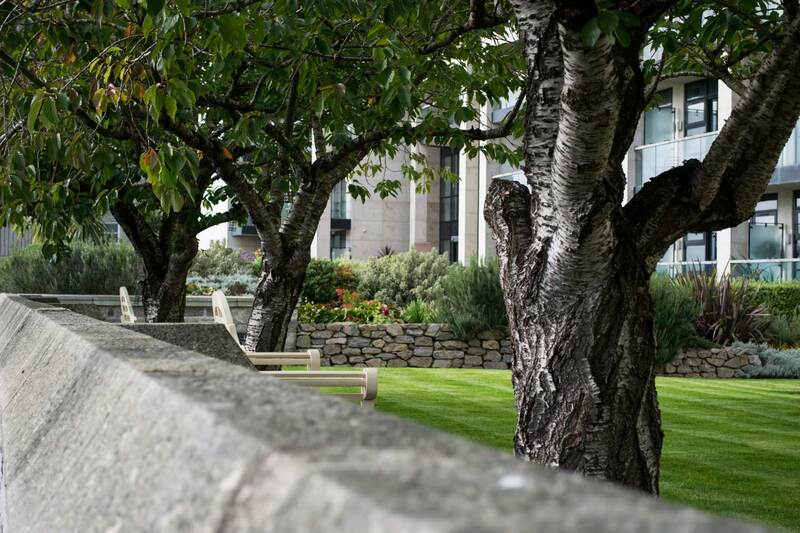 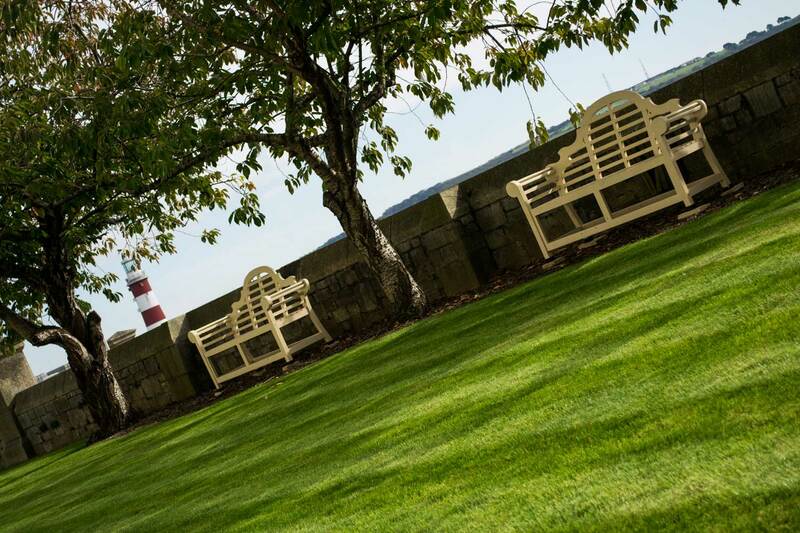 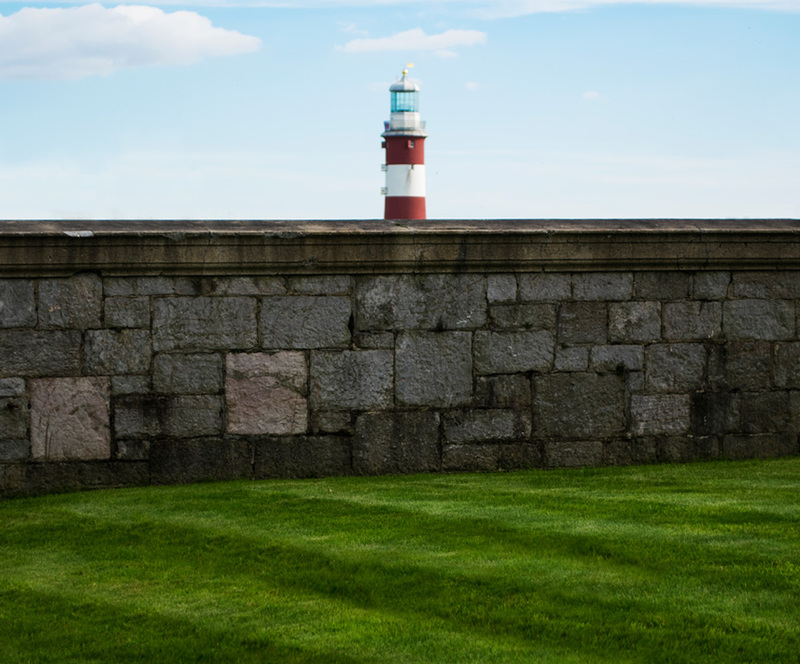 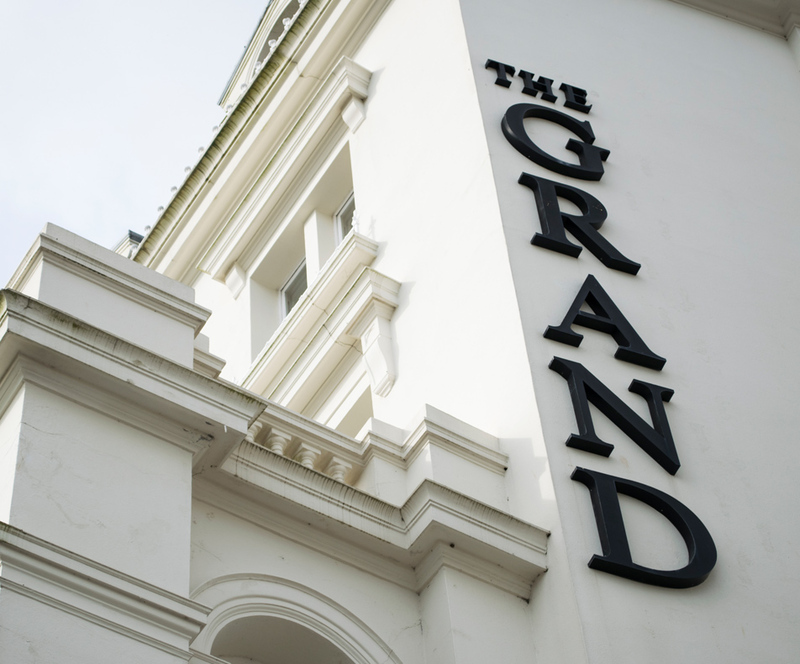 The Grand was designed in 1879 and overlooks the magnificent views of Plymouth Sound and The Hoe promenade. 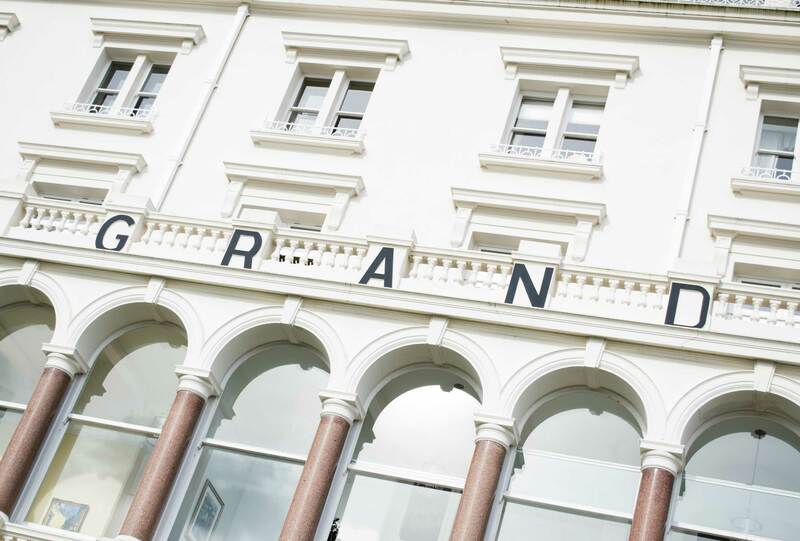 The Grand used to be one of the most luxurious hotels in the whole of the south west, welcoming well-known celebrities and politicians as regular guests. 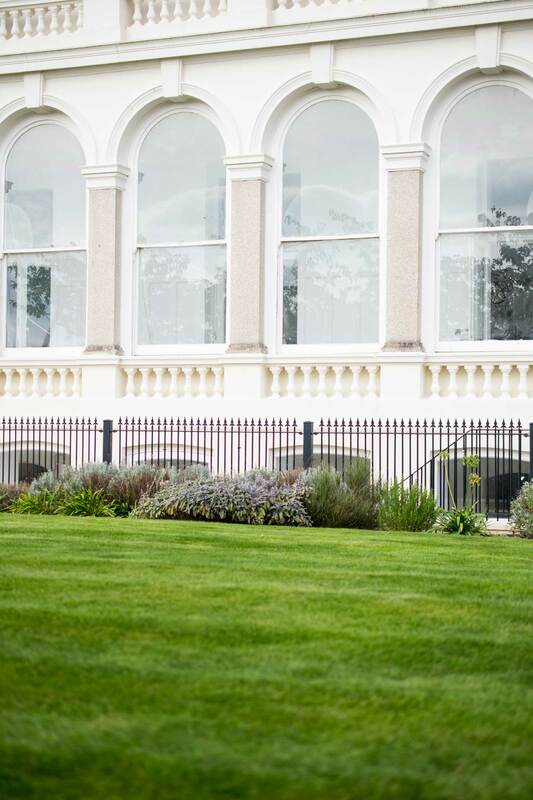 Since then, it’s been converted into 26 luxury two- and three-bedroom apartments by Devington Homes. 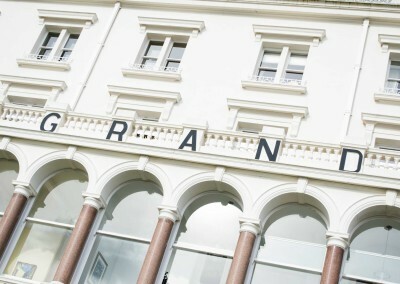 The restoration was a great success, and internally the building is every bit as magnificent as it was in its heyday. 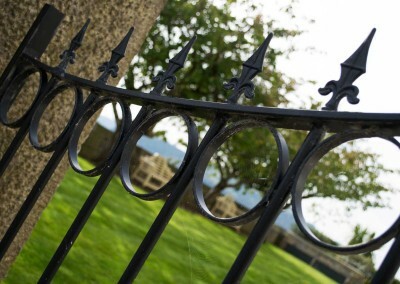 But externally, a little more work was needed. 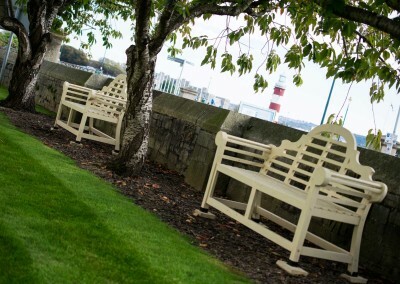 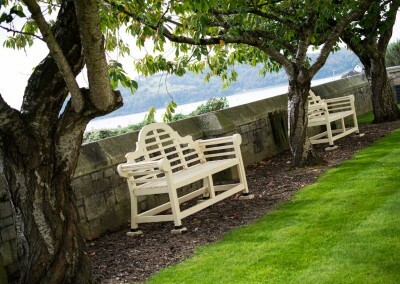 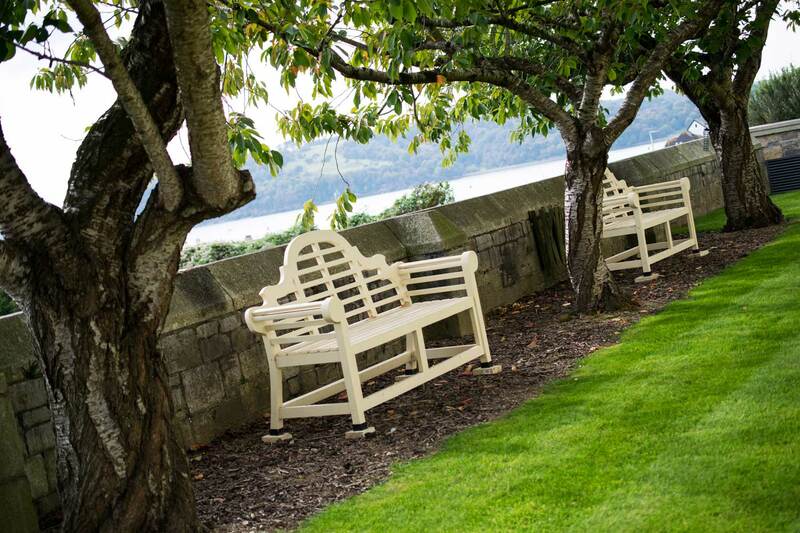 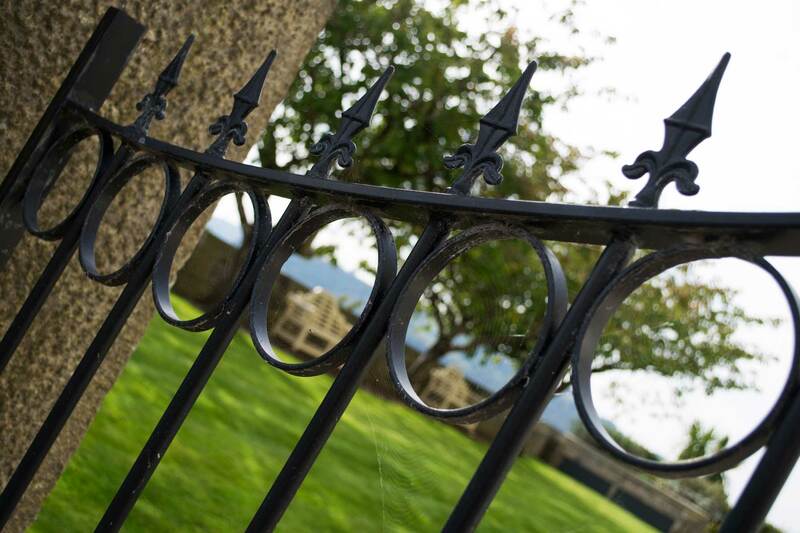 We were approached by Towers Lettings & Block Management Ltd. to carry out the maintenance of The Grand’s new garden. 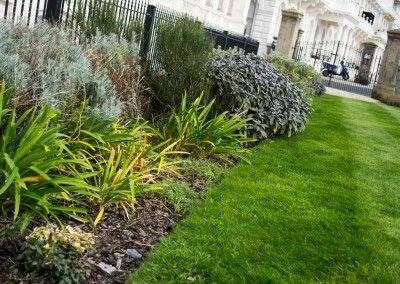 The grounds had already been designed and planted, and had been maintained to a reasonable standard for a while. 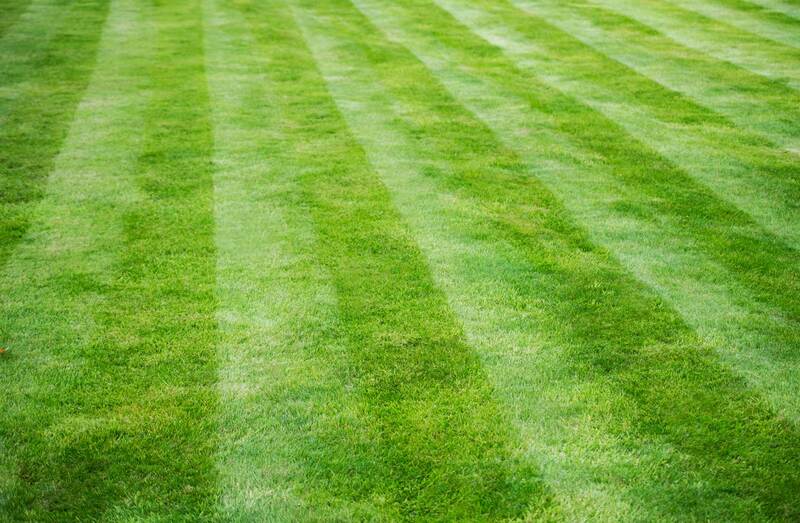 But the main problem was clearly the lawn. 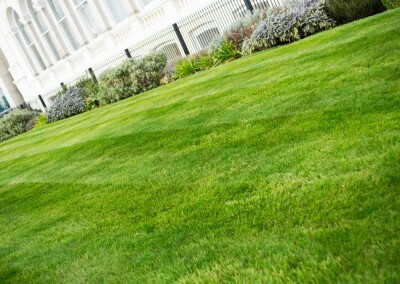 We were asked to provide a quote to remove the existing lawn and lay a new one from turf. 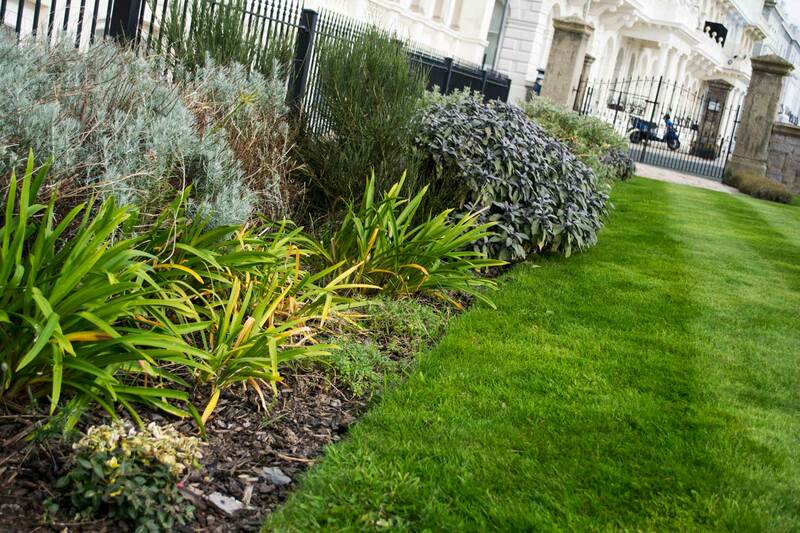 We immediately knew this would cost a substantial amount, so we asked for the chance to try some lawn treatments out. 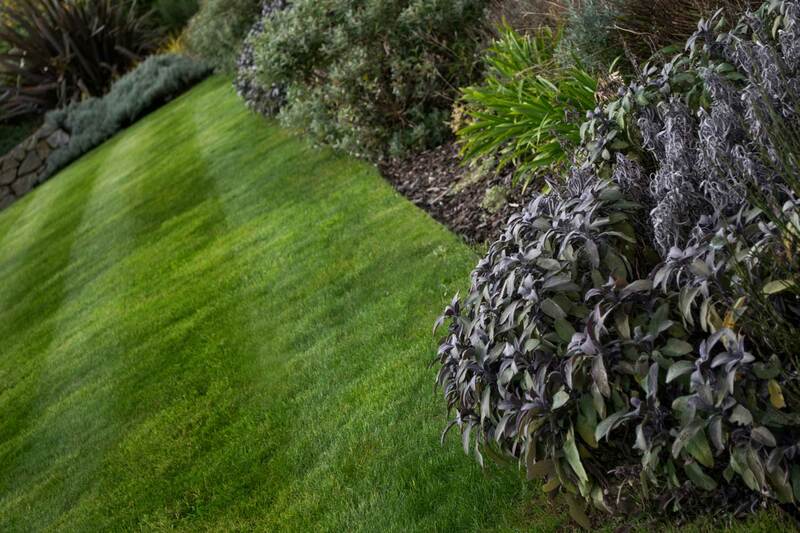 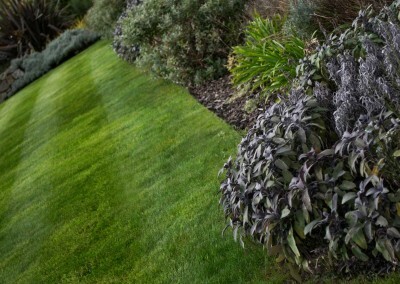 When we set out, we were confident that, over a year or two, we could get the lawn into a much better state. 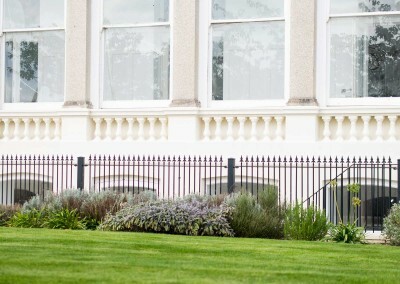 Over the past two years, we’ve excelled ourselves! 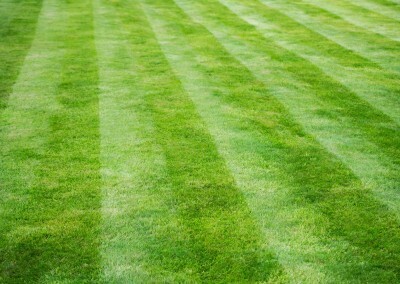 Moss and and weeds have been removed, grass fed on a regular basis and the lawn cut with smart stripes. 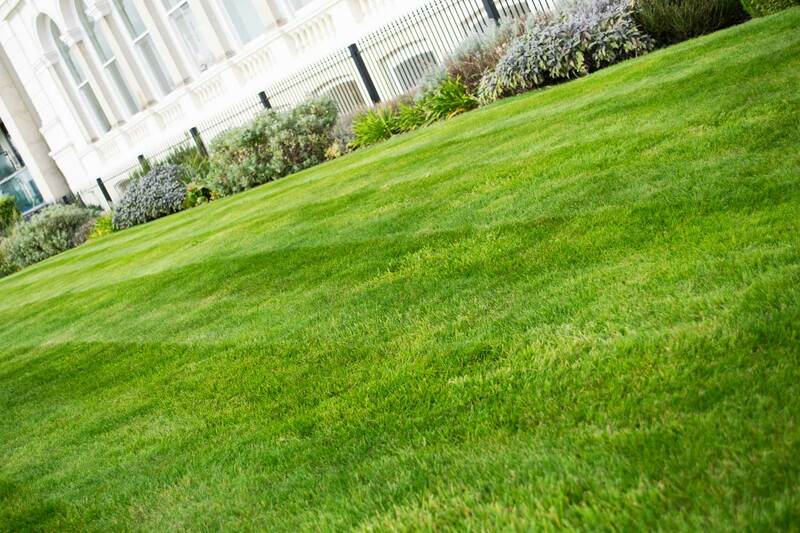 We’ve also performed scarification, aeration, topdressing, feeding and cutting. 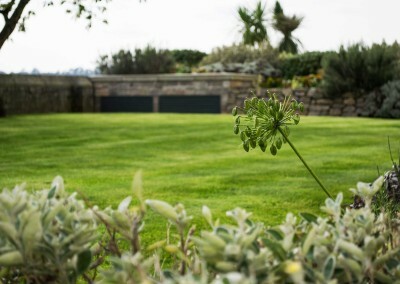 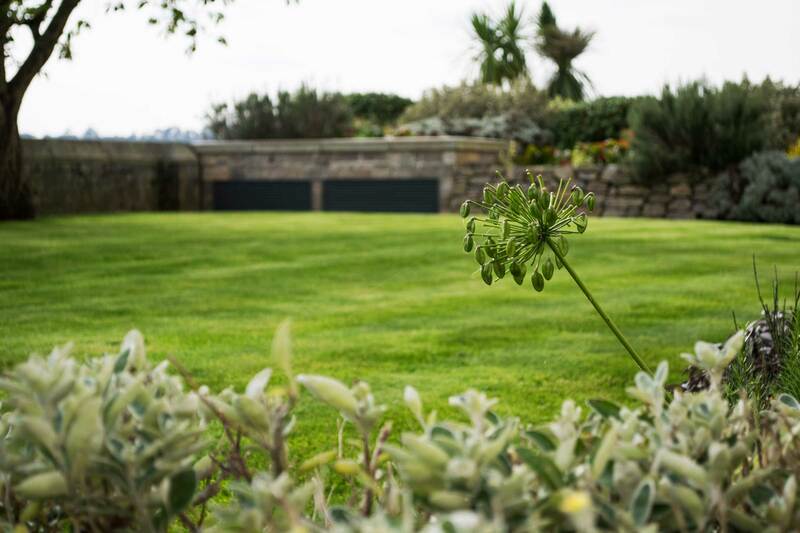 In addition, we maintain the rest of the garden with a mainly summer-based planting scheme of Santolina, Lavender, Rosemary, Iris, Bergenia, Senecio, Cistus and much more.